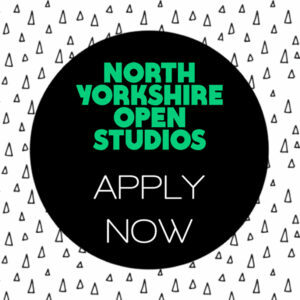 North Yorkshire Open Studios enables artists and makers to open their studios, meet, promote and sell their work direct to the public during the first two weekends in June. Exhibitions, master classes, workshops and other activities contribute to a large-scale, high quality, contemporary arts event for a national and regional audience. Artists without studio space can apply to take part in NYOS as well as artists living outside North Yorkshire who have links to the region. We will accommodate artists by finding other shared venues or studios for you to show your work.